The Humane Society of Missouri has a wonderful program for young volunteers and their shelter dogs. 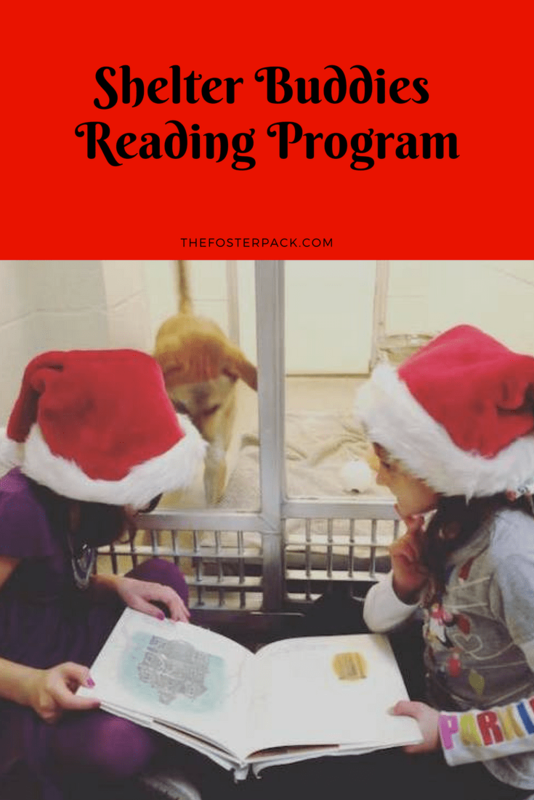 The Shelter Buddies Reading Program. The Shelter Buddies Program was set up to help their shelter dogs to become more adoptable. The kids reading to the dogs helps to comfort and reduce anxiety levels of the shelter pets. It also helps to nurture empathy for animals in the children and teens who participate. After one ninety-minute training session, then the kids and teens, ages 6-15, in which they are taught to read the dogs’ body language, so they can pick out the nervous dog that they would like to help, by reading to, they can come in during the shelter’s volunteer hours, seven days a week, to read to the dogs of their choice. The shelter even offers a library of more than 100 animal-themed books for the kids to choose from. Or they’re welcome to bring their own favorite books to read to the shelter dogs. One parent or guardian is required to accompany the kids when they come to read to the shelter dogs. The Shelter Buddies Reading Program is available at three shelter locations in Missouri. What a great idea the Shelter Buddies Reading Program is, for both the shelter dogs and the kids and teen who come to read to them. Beneficial to both. The HSOM also offers animal related summer camps for kids ages 6-14, and camp counselors ages 15-18. Yet another great idea from the Humane Society of Missouri! Start your own Shelter Buddies Reading Program at your local animal shelter or rescue. Even better news is that the HSOM also has a guide available to help other shelter’s start their own Shelter Buddies Reading Programs. You can find it here: Shelter Buddies Reading Program Guide for Animal Shelters and Rescues. Every animal shelter and rescue should try to implement their own Shelter Buddie Reading Program.